Kayse Gehret, founder of Soulstice Mind and Body Spa in Sausalito. A meditation class at Soulstice. Who meditates? A recent report using data from the 2017 National Health Interview Survey (NHIS) found that the percentage of people in the United States who meditate rose significantly over the past five years, from 4.1 percent in 2012 to 14.5 percent in 2017. Worldwide, estimates range from 200 million to 500 million engaging in this ancient practice for spiritual, emotional, mental and physical reasons. Savala, a psychologist with four children, had always had a spiritual interest in Buddhism, but her original impetus for exploring meditation was at least somewhat practical. Twenty years ago she noticed that Green Gulch Farm and Zen Center had a family program some Sunday mornings, so she and her husband could join a sitting meditation class while the kids participated in their own activities. Hoppin now practices integrated yoga as his primary form of meditation, while Savala takes an “as needed” approach, which means there are times when she meditates every day and other periods when the sitting is much less regular. Where can you learn to meditate in Marin? You can find opportunities to try different forms of meditation throughout the county, from free hourlong introductory classes to fee-based weeklong retreats or training sessions. Buddhist Temple of Marin in Mill Valley has free Introductory Buddhist Meditation classes every Tuesday night from 7:30 to 8:30 p.m.
Green Gulch Farm Zen Center in Muir Beach offers a Sunday meditation instruction and Dharma Talk at 10 a.m. On the first Sunday of the month a Family Program has special programming for kids. Marin General Hospital Mindfulness Meditation and Relaxation classes are free every Monday, 10–11 a.m. • Soulstice Mind and Body Spa in Sausalito holds fee-based meditation and mindfulness classes and offers massage therapy, yoga, qi gong and a variety of mind-body experiences. Spirit Rock in Woodacre has a full calendar of fee-based residential and drop-in classes, retreats, speakers and training programs. Tamalpais Shambhala in San Rafael offers a Sunday Morning Community Meditation class from 10 a.m. to noon (donations encouraged), plus a variety of workshops and special programs. Daigan Lueck of Green Gulch (left) and meditation room at Spirit Rock (right). 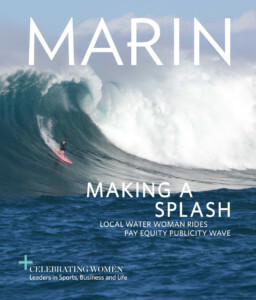 This article originally appeared in Marin Magazine's print edition with the headline "Sweet Clarity".